Work the quads from a different angle.it does not have any holes to bolt to the floor. Non-slip foot plate, comfortable calf and foot pads. Great to develop quadriceps and gluts. Shandong Xingya Fitness is a professional exercise equipment enterprise for development, production and sales of dumbbells, barbells,kettlebell, mats, racks and other rubbercoated and dipping products. 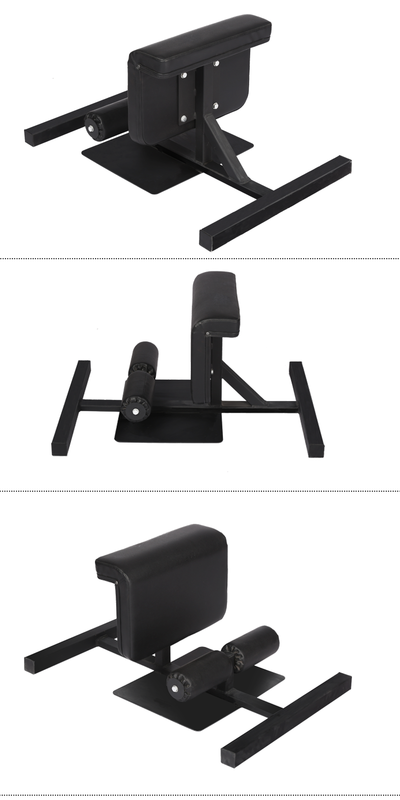 Send your inquiry to our good quality Wholesale fitness gym equipment sissy squat benches sit up machine products.